In the final part of my post-Tour de France review, now the dust has settled here are a few observations looking back on the best race in recent history, with some analysis as to what made it so good and looking forward to what could be done to make things even better for the 2012 edition. And some random thoughts about a few of the key themes that stick in mind – just because. After last year’s race, which celebrated 100 years of racing in the Pyrenees and included both the hills of the Ardennes classics and the cobbles of Paris-Roubaix, I lavished praise on Christian Prudhomme and his team for devising a spectacular and varied parcours which tested the riders across many different aspects of their craft. If anything, this year’s route was even better, giving us a race of three distinct parts. First there was the rolling profile of the first week, which contained no major climbs but a variety of flat and hilly finishes which brought the best out of Philippe Gilbert and forced the top contenders to come out to play rather than hide anonymously in the bunch. The second week saw Thomas Voeckler grittily defend the yellow jersey with echoes of 2004 as he tracked the favourites up to Plateau de Beille. And the final week produced day after day of attacking cycling, whether it was descending or climbing, or even the first or last climb of the day. Andy Schleck complained about “mortally dangerous” downhill finishes and that fans do not want to see the race decided on descents. He was only partially right. No one wants to see riders put at unnecessary risk – the memory of Wouter Weylandt’s fatal crash at the Giro remains fresh in the memory – but any descent carries inherent risks, just as a bunch sprint does, and a descent is generally only as dangerous as the riders are willing to make it. It is in the nature of professional cyclists to push themselves to their physical and mental limits, and no matter how safe the organisers make a descent there will always be someone who is willing to take a risk beyond the limits of their own talent. And most fans don’t care where the race is decided, as long as the racing is honest, exciting and favours the best man on the day. This year, the descents provided some of the best racing spectacle of the entire Tour, from Thor Hushovd‘s daredevil riding to claim his two stage wins, to the critical Evans/Contador/Sánchez break into Gap which cost Schleck more than a minute and fuelled his ire. Deal with it, Andy. This year’s race provided opportunities for descenders as well as climbers and time-trialists, and the combination of handling skills and bravery required to do the former well are important parts of a rider’s armoury in which Schleck was found lacking – and Cadel Evans, crucially, was not. All this made for some fantastically varied racing, with different riders in the ascendancy on different stages. Compare that to this year’s Giro, which was packed with one epic climb after another, but too often featured the same names and faces at the front day after day in the mountains. Chapeau, Monsieur Prudhomme. Chapeau. During the race, I wrote about my thoughts on the changes to the scoring system for both the green jersey and the polka dot jersey classifications, and pronounced the former a big success while reckoning the latter was a qualified success. With the benefit of hindsight at the end of the race, I stand by my assessment of the points competition and, although I still have some reservations about the King of the Mountains, it was definitely an improvement. The race for the green jersey gave us a three-cornered battle between the best pure sprinter in the world (Mark Cavendish), the punchy classics specialist (Philippe Gilbert) and, somewhere in between, a less rapid bit extremely dogged sprinter (José Joaquín Rojas). Cavendish rightfully won the jersey courtesy of his five stage wins, but was made to work in the intermediate sprints for the first time, and then forced to sweat until Paris after being deducted points for missing the time limit on the Galibier. Rojas never won a stage, but his doggedness and greater ability on the climbs kept him in contention throughout. And Gilbert powered through on the uphill stages and constantly went on the attack in search of points. It made for a fascinating competition, and the decision to have only one intermediate sprint and then award a larger number of points for it was an inspired one, giving us a race-within-a-race virtually every day – as opposed to the old system, where the day’s break would always mop up the meagre points on offer. The changes in the mountains classification lent greater weight to the big summit finishes, meaning that the jersey would be decided by someone who was prominent on the key climbing days rather than a tactician who mopped up points on lesser days and won the jersey by stealth. Samuel Sánchez had a win and two seconds on the four Pyrenean and Alpine summit finishes. There was no argument that he was a worthy winner, and even if the polka dot jersey is still something of a consolation prize and a poor relation to its yellow and green cousins, at least it was won in a deserving and visible fashion. 3. Is the Giro/Tour double now impossible? I commented after last year’s Tour on the fact that those top riders who had ridden in both the Giro and the Tour all had much poorer results in the latter race, and that was even more the case this year. It is now virtually impossible for a cyclist to shake off the fatigue of a tough Giro in time to be 100% for the Tour, even assuming that he is capable of managing to hit peak form twice in quick succession. Alberto Contador trounced his rivals at the Giro, but looked heavy-legged for much of the Tour and could only finish fifth – this from the man who had won his previous six Grand Tour participations. Contador has already stated that he will not ride the Giro again. In all, only two of the top 35 finishers at the Tour also competed at the Giro. AG2R’s Hubert Dupont finished an anonymous 22nd, having come 12th in Italy. Increasingly now, it is a case of either/or. The serious Tour contenders now sit out the Giro, which weakens the field at the earlier race. Cadel Evans skipped it this year, having attempted both last year, and it seemed to pay off handsomely as the resultant freshness in his legs allowed him to lead two massive chases in the Alps which ultimately provided the springboard to his eventual win. It is increasingly an issue, though. The Giro and the Tour are both wonderful races, but with all the top riders now splitting their efforts it is a problem which is to the detriment of both races. 4. Why so many crashes? Particularly in the opening week, there was a larger than usual number of crashes, particularly ones involving top GC contenders. Bradley Wiggins, Alexandre Vinokourov, Jurgen Van Den Broeck, Janez Brajkovič and Chris Horner all crashed out before the first rest day, with Andreas Klöden following later. There were a number of factors at play here. The stage one accident which delayed Contador by over a minute put everyone on edge and desperate to ride on the front, and a combination of narrow roads and windy conditions contributed to several of the crashes. Damp roads towards the end of the first week didn’t help either. And neither did camera bikes and media cars, which brought down Nicki Sørensen, Juan Antonio Flecha and, most dramatically of all, Johnny Hoogerland. The fact is crashes will always happen in a giant race such as the Tour de France. And the ones involving the intervention of other vehicles were certainly avoidable. 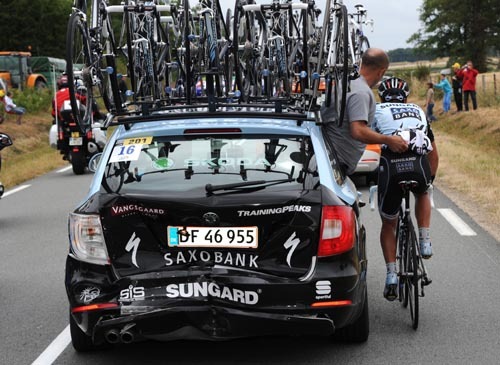 But arguably the nerve-inducing effect of Contador’s initial crash had the biggest impact of all. Thankfully at least there was no repeat of Weylandt’s fatal Giro crash or the one involving a police outrider which killed a female spectator two years ago. 5. Will the French ever win the Tour again? Everyone got very excited over Thomas Voeckler‘s ten days in yellow, but brave though his defence of the jersey was it should be remembered that he only earned it by being in a successful breakaway rather than taking time in a direct head-to-head. The reality is that Voeckler, for all his undoubted talents, does not have the right set of skills to be a genuine Tour contender. Nonetheless, with five riders in the final top 15, there is reason for optimism that one of Pierre Rolland, Jérôme Coppel or Arnold Jeannesson – all 25 or under – can develop into a real force in the next couple of years. If it’s going to be any of them, my money’s on Rolland. Voeckler is certainly capable of another top ten finish, but riding for the GC does not play to his strengths. Give me the swashbuckling, attacking, never-say-die rider we are accustomed to seeing rather than one who is content to follow wheels to finish in the relative anonymity of ninth or tenth place. Helped by a fantastic parcours and the evenness of the competition, the 2011 Tour provided an even greater quota of champions and heroes than the usual. The four jersey winners – Evans, Cavendish, Sánchez and Rolland – require little explanation. But you can add to those Andy Schleck and Contador for their long-range mountain attacks (even though Andy loses points for his tentative attacking in the Pyrenees and constant whining whenever the stage finished with a descent). Gilbert was the hero of the first week, Voeckler the second. Thor Hushovd won two unlikely stages courtesy of his superior descending skills. Edvald Boasson Hagen and Jelle Vanendert emerged from the shadow of injured team leaders to take maiden stage wins. Johnny Hoogerland became the spiritual successor to Jens Voigt as the Tour’s tough guy. And Voigt himself provided his own typical Jens Voigt moment, crashing heavily before remounting to explode the peloton on a subsequent climb. In truth, though, all 167 finishers were heroes one and all. 7. Will Andy Schleck ever win the Tour? He has some way to go before he matches the record of Joop Zoetemelk (six) and Jan Ullrich (five), but Andy Schleck already holds the dubious honour of being the only man to finish as runner-up in three consecutive years. He may yet be awarded the 2010 edition retrospectively, depending on the outcome of Contador’s twice-delayed hearing at CAS, but will he ever win the Tour on the road? I am beginning to doubt it. His physical talent is prodigious. No one, not even Contador, can sustain an attack on a climb for as long as Schleck can, and as he showed with his attack more than 60km out en route to his solo win atop the Galibier, he has stamina too. But, even in an era where the pendulum is swinging away from time trial specialists, his weakness against the clock and his dislike for descending and cold, wet conditions are well-documented and considerable handicaps. Against the likes of Contador and Evans, he effectively starts every Grand Tour with a 1½-2 minute disadvantage, and in the modern sport where even the three-week Grand Tours are now won by seconds rather than minutes, that is too big a head start to give his rivals. Even more worryingly though, is the feeling that he lacks the sheer bloody-mindedness of a great champion. Evans has it. Contador too, and before him Lance Armstrong, Bernard Hinault and all the other great champions. Schleck looks over his shoulder too often, complains too often and seems too content with coming second to suggest he lacks the searing hatred of losing and that crucial all-consuming desire to win at all costs. Cycling’s greatest champions have all been driven by their flaws as much as their strengths. With Andy, I get the feeling he is restrained by them, and I genuinely fear whether we will ever see this talented and likeable young man wear the yellow jersey in Paris. Is the new green jersey points system working? Who will win the polka dot jersey? Is Thomas Voecker a genuine contender for 2012? Like many other great sporting events, the Tour de France can boast an overwhelming wealth of statistics concerning its riders, stages and general history, all of which help tell the story of each year’s race. Here are a few of the key numbers which help define the last three weeks of consistently exciting racing, and put the achievements of the race’s many heroes into context. 3,430.5 – Total race distance (in kilometres). 167 – Number of finishers, out of 198 starters. 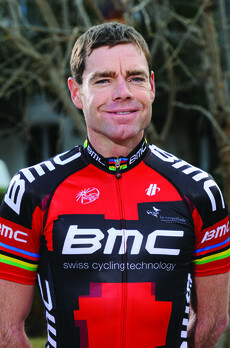 86:12:22 – Aggregate time of the winner, Cadel Evans. 39.8 – In kph, Evans’ average speed. 1:34 – Cadel Evans‘ winning margin over Andy Schleck – only the second time in the last six years the Tour has been decided by one minute or more. 5 – Wearers of the yellow jersey in this year’s race (Philippe Gilbert, Thor Hushovd, Thomas Voeckler, Andy Schleck, Cadel Evans). 1 – Number of days on which Evans wore the yellow jersey – the final stage in Paris. 1 – Stages won by Evans (stage four). 10 – Days spent by Thomas Voeckler in the yellow jersey, the same number he managed in 2004. 3 – Andy Schleck was overall runner-up for the third year running. He has yet to win the Tour. 12 – Evans‘ win made Australia the 12th country to produce a Tour winner – but the first from the southern hemisphere. 6 – Alberto Contador‘s fifth-place finish ended his run of winning the last six Grand Tours he has entered, including his last three Tours de France. 5 – Number of French riders who finished in the top 15. 3 – Only three men wore the green jersey this year (Philippe Gilbert, Rojas, Cavendish). 7 – By contrast, seven men wore the polka dot jersey for leading the mountains classification (Gilbert, Evans, Johnny Hoogerland, Tejay Van Garderen, Samuel Sánchez, Jérémy Roy and Jelle Vanendert). 6 – Six riders wore the white jersey as the leader of the youth (under-25s) classification (Geraint Thomas, Robert Gesink, Arnold Jeannesson, Rigoberto Urán, Rein Taaramae, Pierre Rolland). 0 – Stage wins for José Joaquín Rojas, who finished as runner-up in the green jersey competition to Mark Cavendish. 1 – Stages won by French riders at this year’s Tour, after winning six last year. Pierre Rolland won stage 19 at Alpe d’Huez. 5 – Number of stages won by Mark Cavendish, taking his total in the past four years to 20. 3 – Three men were multiple stage winners this year: Cavendish (five), Thor Hushovd and Edvald Boasson Hagen (two each). 1 – Tyler Farrar won stage three, becoming the first American rider to win a Tour stage on the 4th of July. 3 – Cavendish won stage 11 in Lavaur. It is the third consecutive year in which he has won the 11th stage at the Tour. 2 – Cavendish is one of only two men to have won four or more stages in four consecutive years at the Tour. The other is Eddy Merckx. 11 – Only 11 of the 22 competing teams won stages. HTC-Highroad recorded six, more than any other team. 4 – Stage wins by the two Norwegian riders in the race – two each by Thor Hushovd and Edvald Boasson Hagen. 3 – Cavendish‘s victory in Paris marked the third consecutive time he has won the final stage on the Champs-Élysées. He was already the only man in Tour history to achieve this feat two years in a row. 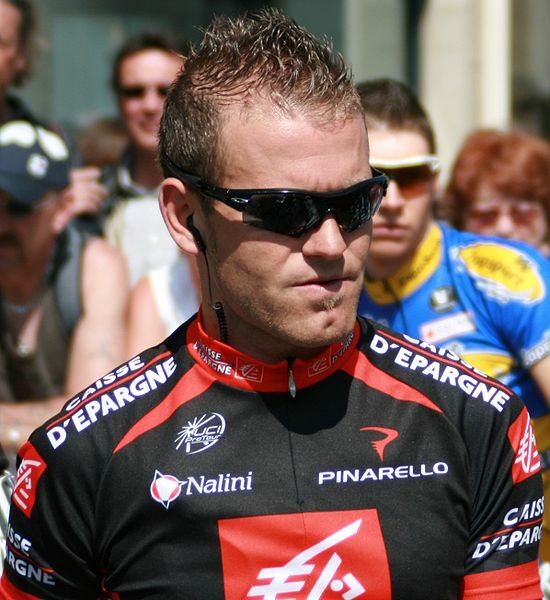 3:57:43 – Time gap between Cadel Evans and last-placed finisher Fabio Sabatini, the lanterne rouge. 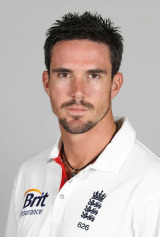 6 – In scoring 202 not out in England’s first innings in the first Test against India, Kevin Pietersen became the sixth batsman to pass 1,000 Test runs at Lord’s, joining Geoffrey Boycott, David Gower, Graham Gooch, Alec Stewart and Andrew Strauss. 1 – Swimmer Keri-Anne Payne became the first British athlete to qualify for next summer’s Olympic Games in London by defending her world 10km title in Shanghai, winning by nearly two seconds. 0 – Number of matches won by Paraguay in reaching the Copa America final. They drew all three group games, and then won both their quarter and semi-final matches on penalties. However, Uruguay beat them 3-0 in the final. 5 – WBA light-welterweight champion Amir Khan outclassed IBF champion Zab Judah, knocking him out in the fifth round of their unification fight in Las Vegas on Saturday night. 2 – In his first start for the club, Gervinho scored twice in the first 16 minutes as Arsenal won 2-1 in a friendly match at Cologne. 196 – Chris Taylor equalled his best ever score of 196 as Gloucestershire beat Kent by an innings and 142 runs in their County Championship match at Cheltenham. 11 – Nottinghamshire’s Samit Patel took 4/43 and 7/68 in their draw against Hampshire at the Rose Bowl, giving him a match return of 11/111. 1 – Derbyshire’s Mark Turner 5/32 in the first innings of their drawn match with Northamptonshire. It was his first five-for since he made his first-class debut in 2005. 1 – Vettel finished fourth, the first time in ten races this season he has not finished in the top two. 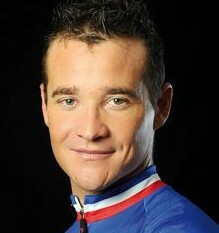 10 – Number of days in the yellow jersey for Thomas Voeckler. In 2004, he also held the maillot jaune for ten days. 1 – Number of days in the yellow jersey for Evans. 6 – Stage wins for HTC-Highroad, more than any other team (five by Mark Cavendish, one by Tony Martin). 20 – Cavendish’s win was the 20th stage of his Tour career (in only his fifth participation), moving him up to joint-sixth on the all-time winners’ list. Eddy Merckx leads with 34. 11 – Only 11 out of the 22 teams won a stage. 1 – Pierre Rolland was the only French stage winner (at Alpe d’Huez on stage 19), versus six last year. 3:57:43 – Time gap between winner Cadel Evans and last-placed finisher Fabio Sabatini, the lanterne rouge. It’s the final day of the Tour de France. The sun is shining on the Champs-Élysées. And the diminutive figure of Mark Cavendish – the Manx Missile – blasts off the front of the peloton to claim victory on the most prestigious sprint stage of all. The year? Take your pick. In 2009 and 2010 he achieved this feat in the colours of HTC-Columbia (as the HTC-Highroad team used to be called). This year, however, he won his fifth stage – his 20th in four years – in the jersey he has always coveted, the green jersey of the winner of the points classification. Meanwhile Cadel Evans enjoyed the sunny day he had wished for yesterday as he rolled to the finish in the yellow jersey of the overall winner – the first Tour champion ever from the southern hemisphere. To the title of world champion in 2009 he can now finally add the appellation ‘Tour de France winner’. With all the other jerseys decided, today’s stage was all about the final victory and the fate of the green jersey. HTC-Highroad’s Mark Cavendish started the day with a slender 15-point lead over Movistar’s José Joaquín Rojas, despite having won four stages to the Spaniard’s none. A fifth win would guarantee him his first green jersey no matter what Rojas did, but equally he could not afford to slip up either. The stage started with the usual processional run in to Paris to allow plenty of time for the traditional photo opportunities of the jersey holders riding together and of yellow jersey Cadel Evans sipping on a glass of celebratory champagne. As is customary, his BMC team were afforded the honour of leading the peloton on to the Champs-Élysées for the first of eight 6km circuits. Almost immediately, Sky’s Ben Swift accelerated off the front of the bunch, and he was soon joined by Jérémy Roy (FDJ), Sergio Paulinho (RadioShack), Kristjan Koren (Liquigas-Cannondale) and Cavendish’s teammate Lars Bak. Bak’s presence in the break meant HTC were not obliged to lead the chase, allowing them to sit behind and force other teams to expend energy at the front. The intermediate sprint came early in the third lap on the uphill stretch near the top of the avenue. After the leading sextet had gone through, HTC came to the front and Cavendish easily beat Rojas to claim seventh, with Mark Renshaw nudging the Spaniard down to ninth. This extended Cavendish’s advantage to 17 points, meaning he now needed only to finish third, and if Rojas finished second then seventh place would be sufficient for the Manxman. Immediately after the sprint, Cavendish had to stop to change bikes, but he quickly regained the peloton. The break extended its advantage to 43 seconds, but once the sprinters’ teams started to work seriously the gap soon tumbled. The catch was inevitable, and all but Swift and Bak sat up just after the start of the final lap, to be absorbed back into the bunch. Swift was also soon caught, but Bak remained resolutely out in front by seven seconds. HTC-Highroad then came to the front of the peloton – not to lead the chase of their own man, but to disrupt it. Sure enough Bak’s lead drifted back out to 13 seconds, again forcing other teams to commit themselves to the chase to catch him with 2km remaining. This left the HTC train free to move up and assume control in their own time, which they duly did just before passing under the 1km banner. The rest was inevitable, and a routine we have seen executed so perfectly so many times before. Four white HTC jerseys with the green of Cavendish tucked in at the back of the line. First the raw power of Bernhard Eisel, HTC’s road captain and Cavendish’s roommate, setting a rapid tempo that opponents struggle just to follow. Then the equally powerful Tony Martin, winner of yesterday’s time trial, took the lead up to 450m out. Matt Goss, this year’s Milan-San Remo winner and one of the fastest sprinters in the world in his own right, led through the final bend at 350m onto the Champs-Élysées to set up Mark Renshaw, Cavendish’s most trusted lead-out man, to open up the sprint. Cavendish held his burst until the final 175 metres because of the headwind, but when he kicked there was no catching him. Sky’s Edvald Boasson Hagen closed to a bike length, but Cav applied his second kick and extended his advantage before crossing the line to a length-and-a-quarter. André Greipel was third. Rojas, who had been hovering close to Cavendish’s shoulder entering the final half-kilometre, sat up and finished 21st. Five stage wins this year, 20 in the last four years, and at last the green jersey for the first time. Cavendish becomes the first British winner of the green jersey and only the second British jersey winner ever. (Robert Millar won the polka dot jersey in 1984.) 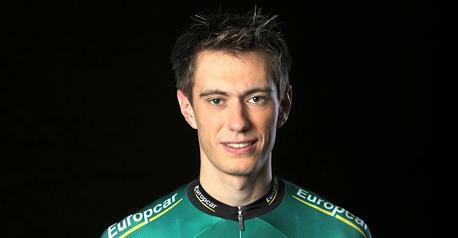 The next target for Cavendish is André Darrigade, the only sprinter with more stage wins (22, over 12 years). That, and a second green jersey next year. I finally got it, but it didn’t come easy. I really had to fight for it all the way to the last finish line and I’m very tired, but it was worth all that effort. I had eight fantastic team-mates around me all the way, they kept working with me, I was close to getting it for the last two years and now it’s finally here. I’m so happy, it’s incredible. It’s a great way to finish the Tour and a super, super emotional day. As a young child we aspire to a lot of things in life, and watching the Tour de France in 1991 and seeing Indurain tear everyone to pieces planted a small seed in my head that continued to grow. It’s been years of hard work and there were a lot of moments in these three weeks where our Tour was lost, but to get here safely with all my skin – just that alone is a quest in itself. But to be here wearing the yellow jersey — for my team, my country, a group of people around me — it leaves me a little lost for words. This win is for everyone in our country. In addition to the yellow and green jerseys, the other key prizes had already been settled in advance of today’s result. The polka dot jersey for the King of the Mountains went to Euskaltel-Euskadi’s Samuel Sánchez. The Spaniard was the most consistent performer on the Tour’s four big summit finishes, winning at Luz-Ardiden and coming second on both Plateau de Beille and Alpe d’Huez. 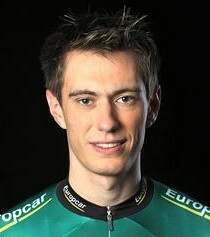 The youth classification for the best rider aged 25 or under was won by Pierre Rolland. The 24-year old Europcar grimpeur, who first came to attention by winning the mountains classification at the Dauphiné three years ago, finally blossomed on the sport’s biggest stage, never leaving the side of Thomas Voeckler in the mountains and riding to a fantastic victory on the fabled 21 hairpin bends of Alpe d’Huez. He finished an impressive 11th overall, 10:43 behind Evans. Garmin-Cervélo not only claimed their first ever Tour de France victory in the stage two team time trial, but added three further wins courtesy of Thor Hushovd (two) and Tyler Farrar, and placed Tom Danielson ninth overall on his Tour debut. Their consistency earned them the best team prize, calculated from the aggregate time of a team’s first three riders on each stage. Finally, FDJ’s Jérémy Roy was awarded the overall combativity prize as the rider judged to have been the most attacking over the three weeks of the race. He won the daily equivalent of this award twice, and was memorably denied a solo victory when he was caught and passed by Hushovd 2km from the finish in Lourdes on stage 13. It was fitting that he should also in today’s break. The Tour de France has always provided a spectacular tableau for telling great stories but this year perhaps more than any other has been a race of true champions, each of whom has contributed towards the narrative of the most exciting, most unpredictable Tour I can remember watching. Andy Schleck and Alberto Contador‘s audacious long-range attacks in the Alps. The devastating speed of Mark Cavendish and his HTC-Highroad train. Crashes galore, including the one which created a new cult hero in Vacansoleil’s Johnny Hoogerland. The mighty Thor Hushovd winning not once but twice in the mountains. His compatriot Edvald Boasson Hagen‘s breakthrough wins. The attacking verve of Philippe Gilbert, who single-handedly animated the first half of the race. The never-say-die pluck of Thomas Voeckler, who discovered new abilities he never realised he had in defending the maillot jaune for ten thrilling days, in which we all shared in the agony of every pedal-stroke. The magnificent Pierre Rolland, whose reward for shepherding Voeckler through the mountains was a famous victory at Alpe d’Huez. And so many more, right down to Liquigas’s Fabio Sabatini, the 167th and last finisher in the race, and therefore the lanterne rouge. I’m sure I have missed out several others worthy of mention. I do not do so deliberately. They are all champions in my book. But the tale of the 2011 Tour de France starts and ends with its new champion Cadel Evans. The winner on the Mûr-de-Bretagne, the way he twice dragged chasing groups up the Galibier marked him out as a man with both the legs and heart of a worthy champion. The two-time runner up who finally made good through bloody-minded determination and no small amount of skill. The ugly duckling who, over the course of three thrilling weeks in July, became a swan. Chapeau, et vive Le Tour! Look out for more posts taking a look back at the 2011 Tour de France over the next few days. For the past ten days, France has been celebrating the maillot jaune sitting on the shoulders of Thomas Voeckler while bemoaning the lack of French stage winners. How fitting then that on the day Voeckler’s grip on the yellow jersey was finally loosened that Pierre Rolland, the man who has shepherded him all the way through the Pyrenees and Alps, became the first French winner this year. Meanwhile, on a day when three of the four prize jerseys changed hands, Andy Schleck assumed the overall lead, setting up a nail-biting individual time trial tomorrow in which he will go head-to-head with Cadel Evans for the right to wear the final yellow jersey in Paris on Sunday. Whoever designed today’s stage deserves a hearty slap on the back (although the sprinters may not thank him). Coming after the three hors catégorie climbs of yesterday’s marathon stage to the Galibier, today’s parcours was a veritable sprint at 109.5km. It was planned specifically to encourage early attacks from strong climbers and create chaotic, exciting racing. It certainly succeeded, producing three hours of compelling ebb-and-flow, where the advantage swung first one way and the other until it was impossible to predict a winner. After three consecutive days of thrilling racing, this was arguably the best of the lot. Chapeau to race organisers ASO. The action started immediately, as a 14-man break formed on the opening descent. But no sooner had it formed than it began to break up on the 11.9km climb of the Col du Télégraphe. Barely 2km into the ascent, Alberto Contador attacked, with Andy Schleck immediately responding. As the defending champion pulled clear and linked up with two Saxo Bank-Sungard teammates, Cadel Evans, Fränk Schleck and the yellow jersey of Thomas Voeckler also jumped across. The early attack, echoing the younger Schleck’s stage-winning move yesterday, made sense. Andy, Evans and Voeckler had given everything on the Galibier, and Contador’s acceleration immediately isolated them from virtually their entire teams, forcing them to commit to a mano a mano battle. The Spaniard continued to press hard on the front. Fränk Schleck drifted back to the peloton, a tactical decision to set him up as plan B in the event the break was unsuccessful. 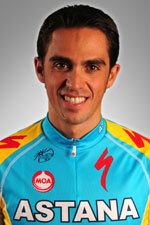 Contador attacked repeatedly. Voeckler soon lost contact, and then Evans stopped to examine a problem with a rubbing rear wheel. He remounted, then stopped a second and then a third time before finally changing his bike. Stranded in no man’s land Voeckler, typically, decided to struggle on, while Evans opted to drop back to the peloton. Gorka Izagirre, who had been in the original break and had latched on to the back of the Contador group, sprinted ahead to take maximum points over the Télégraphe, incurring the wrath of Andy Schleck in doing so. Nonetheless, the leaders held a lead of 1:36 over the peloton over the summit and set off on the short 5km descent which led straight into the 16.7km climb of the Galibier – approached today from the ‘easier’ north side. Voeckler continued to pursue behind them, looking for all the world like he was on the point of keeling over and yet holding his deficit steady at 30 seconds. It has ceased being a surprise seeing the plucky Voeckler defying defeat, but it never stops being a pleasure to watch – if watching a rider’s face contorted in agony as he struggles to churn a big gear can ever be pleasurable. Izagirre was dropped halfway up the climb, leaving four men – Contador, Schleck, Rui Costa and Christophe Riblon – in the lead of the stage, with a dwindling but organised peloton holding station at around 1:30 behind. However, on the toughest part of the ascent near the summit, Voeckler cracked, almost coming to a standstill and sitting up to wait for the peloton. At the same time, with big names such as Ivan Basso, Levi Leipheimer and white jersey Rein Taaramae all starting to struggle, it was once again left to Evans to pick up the pace single-handed at the front, just as he had had to do on the climb on the other side of the Galibier yesterday. Samuel Sánchez leapt off the peloton near the summit as Evans allowed Voeckler’s Europcar team to pick up pace-setting for a spell. But, unsatisfied with their tempo, the Australian also attacked off the front, taking Pierre Rolland and the watchful Fränk Schleck with him. Brother Andy led over the summit, as the lead group started the long descent to the valley below – down the road which they climbed yesterday – with a 34-second lead over the six-strong Evans group and Sánchez sandwiched in between. Sánchez latched on to the Contador group with 46km left, but it was not until the 25km mark that Evans’ group finally caught them, soon followed by a second chasing pack which included the reinvigorated Voeckler to create a lead group of around 20 riders. A brief lull then occurred while the riders took on water and caught their breath before turning on to Alpe d’Huez – 13.8km long, with its 21 famed hairpin bends each carrying the name of either one or two previous stage winners – with the favourites all together for the race-defining climb of this year’s Tour. There was no preamble. The attacks started almost immediately. The Schlecks’ teammate Jakob Fuglsang made the first move, prompting immediate counter-attacks by first Evans and then Contador. With the defending champion over three minutes behind overall, the others were happy to let him have his head, and he surged away, catching and dropping Rolland and Ryder Hesjedal who had slipped away before the climb started. Under the 10km banner, Contador was powering away at the front on his own, 35 seconds ahead of Evans’ group, and 1:21 ahead of a struggling yellow jersey peloton. Fränk tried to dislodge Evans, but the Australian was easily able to match him. He was content to let Peter Velits, Sánchez and Thomas De Gendt go, however, as he focussed on controlling the Schlecks, who seemed uncertain what to do next and managed to present the impression that Evans was somehow outnumbering them as Contador continued to ride away from all of them, stretching his advantage over the six-man group to 1:42. This forced the Schlecks to pick up the pace as Contador began to represent a genuine threat to them while Evans, safe in the knowledge that he is a better time trialist than both brothers, was content to sit back and let them do the hard work for a change. At 5km, their deficit was back down to a minute as Contador started to look uncomfortable. Two pursuing pairs – Rolland and Sánchez, Velits and De Gendt – were sandwiched in between, while Voeckler’s group was by now over 2½ minutes down, with the yellow jersey still giving absolutely everything but finally reaching the point where he was running only on fumes. With Rolland and Sánchez visibly closing, Contador finally began to crack, grimacing with pain in a way we have never seen from him before. The pair caught him on a hairpin at 2.5km to go, and after a few moments of cat-and-mouse Rolland accelerated smoothly away from the two Spaniards to claim the first French win of this year’s Tour unopposed. The final 2km saw Contador’s advantage over his rivals dwindle rapidly. Led primarily by the impressively strong Evans, they homed in on the defending champion, who lost Sánchez’s wheel and eventually finished just 34 seconds ahead of Velits, Evans, De Gendt, Damiano Cunego and the Schlecks. Voeckler rolled in to tumultuous cheers, exhausted and 3:22 behind his winning teammate, giving us one final sight of him in yellow before he turned the jersey over to Andy Schleck. The new race leader has an advantage of 53 seconds over his brother, and 57 over Evans, with Voeckler dropping to fourth, 2:10 behind. It is a perilously slim advantage. Andy, though much improved as a time-trialist, is markedly inferior to Evans, who must be considered the marginal favourite to finally seize yellow tomorrow. Rolland received a triple reward for his efforts: the stage win, the white jersey and the privilege of having his name attached to bend 16 of the climb – an honour he shares with a certain Bernard Hinault. There can be no higher accolade for a French rider, and it was a rich reward for the back-breaking effort he had put in to helping his leader defend the maillot jaune. I just had a bonk yesterday and had nothing in my legs. Today I felt better and I was hoping to win the stage. Rolland was impressive, so hats off to him. The polka-dot jersey is a nice prize and it helps take off the edge of not being able to reach the podium. Finally, Mark Cavendish again finished in a large gruppetto which missed the time limit, although this time by just 18 seconds. He was again docked 20 points, but crucially so too was José Joaquín Rojas, maintaining the Manxman’s 15-point advantage and making him the only jersey wearer to successfully defend his position today. I decided to just go for it today. Once the GC option was gone yesterday, I decided to risk everything. I came to this Tour hoping to pull off the Giro-Tour double, but I knew it would be difficult. I am leaving the Tour with a good sensation. I am content. I didn’t have the legs to win the Tour after racing the Giro, but I wouldn’t change a thing. As long as Thomas wore the maillot jaune, I was working for him and absolutely not thinking of myself. On the Galibier he told me to go, that it was my day if I wanted the white jersey. It’s proof that Thomas is a very big champion because many other riders in his situation would have asked their teammate to stay with them, even if they were 10 minutes behind. This is a climb that I know very well one that I’ve reconnoitred more than a dozen times last year. I told myself that I would not finish second, it was win or nothing. This is a stage that I’ve watched dozens of times on video, with [Lance] Armstrong, [Marco] Pantani. I studied their cadence. And now it’s me who has won! It will take me a little time before I realise what I’ve done. I only got to know once I crossed the finishing line that Pierre had won today’s stage. I’m super happy for him. He deserves one hundred times to get this win. He has helped me so much. It’s a legitimate reward. It’s simple, start as fast possible in the time trial and finish as fast as possible. Hope it’s fast enough. I believe I can keep the jersey. I’m in great form, and this time trial route is not one for the real specialists of the discipline. It will be much more about who still has the most energy left – and I still do. I’ll start last tomorrow, and my motivation is great, my legs are super so I’m confident I can actually keep this jersey until Paris. 57 seconds is a lot, and when you have the yellow jersey it gives you wings. On paper, Evans should now win the Tour tomorrow in the Grenoble time trial. However, the Tour de France is not won on paper and this year’s edition has taught us to take nothing for granted. However, the contest is now set up perfectly. Andy Schleck has a barely defensible advantage over Evans, and both will need to produce tomorrow under the highest pressure. Four of the last five Tours have been decided by less than a minute. Could this one be too? It would certainly be no more than this incredible race deserves. Once again I say: chapeau! The decisive stage of the 2011 Tour de France takes place on the same course used for the individual time trial at the Critérium du Dauphiné in June. It requires a little bit of everything: power, climbing ability, and a combination of descending skills and bike handling on the return run down to Grenoble, which features a series of difficult, tight corners at the start of the descent. Most of all, it will reward those riders who gauge their effort most evenly, and punish those who do not. Large chunks of time can be won or lost throughout this stage. Although exacerbated by the wet conditions, two minutes separated first from tenth at the Dauphiné, with several contenders losing closer to four minutes. HTC-Highroad’s Tony Martin won that day, and the German is likely to be the biggest threat to the pre-eminence of Fabian Cancellara. But expect Cadel Evans to also challenge for the win, while the hilly nature of the course will also favour Alberto Contador and Edvald Boasson Hagen. It will be a day of high tension, with the overall leader at the end of the day being crowned champion in Paris the following afternoon.